On October 6, 2018, Elena Chang and Hannah Fenlon (joined by Nataki Garrett, Adriana Gaviria, and Karena Fiorenza) presented a breakout session called “Asking the Other Question: New Frontiers for Leadership and Organizational Culture” at Statera’s National Conference in Milwaukee, Wisconsin. StateraArts is proud to publish a text version of their session below. In the 1990s, critical race theorist Mari Matsuda challenged activists and those aiming to work with an equity-informed lens to "ask the other question" - essentially a call to recognize when interlocking form of oppression are occurring, and not to just focus on the form that is most glaring. For instance, Matsuda writes, "When I see something that looks racist, I ask ‘Where is the patriarchy in this?’ When I see something that looks sexist, I ask ‘Where is the heterosexism in this?’” In our approach to truly equitable theatre leadership, this practice is essential. How are we reinscribing harmful systems of oppression, even when we think we’re making change? Are we recreating the old familiar hierarchical power structures that were present in our early career or academic experiences? So often, we are told as women leaders to “lean in.” And while we admire Sheryl Sandberg for her tenacity, this approach simply does not work for everyone. It does not recognize successful leadership as anything other than masculine, loud, competitive, and focused on ascending a hierarchy. Instead of freeing women from patriarchal structures, it embeds us farther into them. As we congratulate the women named to top posts in regional theatres across the country this year, it’s fair to celebrate the fact that we are moving in the direction of gender equity in the field when it comes to leadership, as well as to commit to supporting these leaders in managing the sexism and gender discrimination that will inevitably be at play in their experiences. However, we must also recognize the racism embedded in these decisions - this group of leaders is overwhelmingly white-identified. To our knowledge, none of these women identify as having a disability, nor as queer, nor as trans/non-binary. This is where we can begin to make demands and shifts as leaders, from a space of recognizing where oppression is at play, even if it is not impacting us. Another example comes from the Black Lives Matter Movement, a “leader-ful” network founded and led by women of color. The Harriet Tubman Collective, a group of black activists with disabilities, beautifully called out BLM for including nothing in its original platform about its approach to disability justice - particularly considering, as they wrote in their statement, that 60-80% of those murdered by the police are “Disabled and/or Deaf people.” The disabled community experienced an invisibilizing of its efforts and effectively asked BLM to "ask the other question" in its values and initiatives. Finally, an apparent need to “ask the other question” lies in the treatment of the two brave women who shared their stories of sexual harassment and assault at the hands of Supreme Court Justice nominees, Christine Blasey Ford and Anita Hill, one of whom was held up as a model witness, and the other as an “angry black woman”. There is patriarchy here, but what about white supremacy? So, what might it take to transcend this single-oppression thinking, creating new leadership and organizational models that embrace our field's full spectrum of humanity? Drawing from the wisdom of a group of 75 women at October’s StateraCon in Milwaukee, in addition to our own lived experience, here are some suggested places to start - small offerings that might begin to spark a great shift. First of all, take care of yourself and your spirit. Identify and consistently check in with your own core values. Literally, write them down. And then, ensure that they align with your daily behavior and where you are interested in going in your career. Recognize the power and value of quiet confidence and leading by example, in yourself and in your colleagues. Take care to notice everything that is happening around you, not just those that are shouting the loudest. To that end, feel free to own being an empath and an emotional creature, if that is how you move through the world. These feelings are critical to our work as artists, and as our field has been professionalized, we have deemed emotional reactions “inappropriate” in the workplace. Advocate for that change by modeling it, especially if you have power. Share your stories and challenges with other women and folks who are underrepresented in our field. Sharing our stories increases our ability to coalition-build, and removes feelings of isolation cultivated by hierarchy. Find an affinity space. Isolation is a tool of oppressive systems. If you can work from a place of solidarity (with other women, trans and non-binary folks, queer folks, etc. ), you can increase your capacity for leadership. Ask how that affinity space, perhaps exciting in its feminist intention, is maintaining a culture of racism and/or ableism in its impact. Then, take some action (thoughtfully). If you are white or otherwise a member of a distinctly privileged group, examine, process, and ultimately work (every. single. day.) to transcend inevitable feelings of white fragility and racism, sexism, transphobia, ableism, and so on. Also, do your homework (this is just one of many fabulous compilations created by smart people). If you are politically engaged, find space within your work where you can speak unfiltered about our political moment, unburdening yourself of the notion that your experience of our greater culture doesn’t follow you to work (is “LOL” an appropriate aside, here?). If you are feeling deeply, you can rest assured that others are as well. If you are in a position wherein you convene other people, look at your events, gatherings, or productions through a kaleidoscopic lens. For example: how would I enter this space if I had a physical disability? If I were non-neurotypical? If I were a trans woman of color? Would I be comfortable in this space, period? If you are in a position of leadership, at an organization that is entirely homogeneous (particularly racially), consider what it would mean for you to move away from that position, or otherwise cede power to someone whose voice is not currently present in your leadership structure. If you are not in a leadership position, support the newly appointed women leaders across the country. Call them, remind them that you can be a resource, celebrate their victories. Upend the idea that women need to be competitive with one another to succeed (read this article for inspiration). And continue to ask for more diversity in leadership at every opportunity. Strive to be accountable to communities other than your own. But, know that you are responsible for your communy(ies), even the parts of them that you’d just as soon turn away from (see anything you’ve ever read on Twitter about #notallwhitewomen voting for Trump). While our communities are not, and should not be seen as, monolithic, it’s imperative that we work with them first, urging them toward justice and change. In the process of doing all that, remember that probably 9 times out of 10, no matter how “diverse” an audience or a workplace or a creative project might be, there is no Native and/or Indigenous voice in the room. A land acknowledgment from a non-Native person is positive, but doesn’t replace the role that a Native artist and/or community member could play as a contributor to the space. The same can be said of those with disabilities, trans and nonbinary folks, and others who have been historically pushed to the margins. Be careful with claims of diversity. And then finally, let it all go. Acknowledge (and remind yourself, especially when things get tough), that the end goal isn’t to solve these entrenched social issues in our time, but that does not mean that we shouldn’t commit to it. (Oh, and while you’re doing all of this, if you need to get angry, get angry.) The way the anger of oppressed communities is policed is highly problematic, especially because our anger is so useful to helping us get things done. So get angry, demand change, and always ask who else you can be angry for, and who should be allowed to get angry alongside you. We, and many of the leaders in our theatre community, are dedicated to the process of building the world we want to see. In that process, things are bound to get fuzzy, messy, and sometimes even hostile. Know that this tension is positive, and that pushing back against ingrained structures of leadership is essential to creating space for true inclusion. A feminist perspective, in our opinion, is one that is iterative, reflective, and empathetic. It flourishes by using healthy tension (and yes, even anger) to gain a deeper understanding of the world. You don’t need to be a cisgender woman, or a even woman at all, to embrace and enact a feminist politic in your leadership - you simply have to be open to asking the questions that matter. Elena Chang is the Associate Director of Equity, Diversity & Inclusion (ED&I) at TCG. There she supports TCG’s Equity, Diversity & Inclusion Initiative including work with Theatres of Color, facilitating conversations within the ED&I national Institute, and co-organizing screenings around the Legacy Leaders of Color Video Project. Previously, Chang served as program director of the Asian American Arts Alliance, where she was responsible for the development, design/communications, and management of all artist-focused programs. Elena is a dedicated arts administrator and arts activist having spearheaded multiple film, theatre, and visual arts projects advocating for social change by exploring the intersections between art, culture, and activism. She was honored for her arts and LGBTQ advocacy work with Asian Pride Project by the White House Asian American and Pacific Islander Champions of Change Initiative. She received a BFA in Theatre from Rutgers University, Mason Gross School of the Arts. 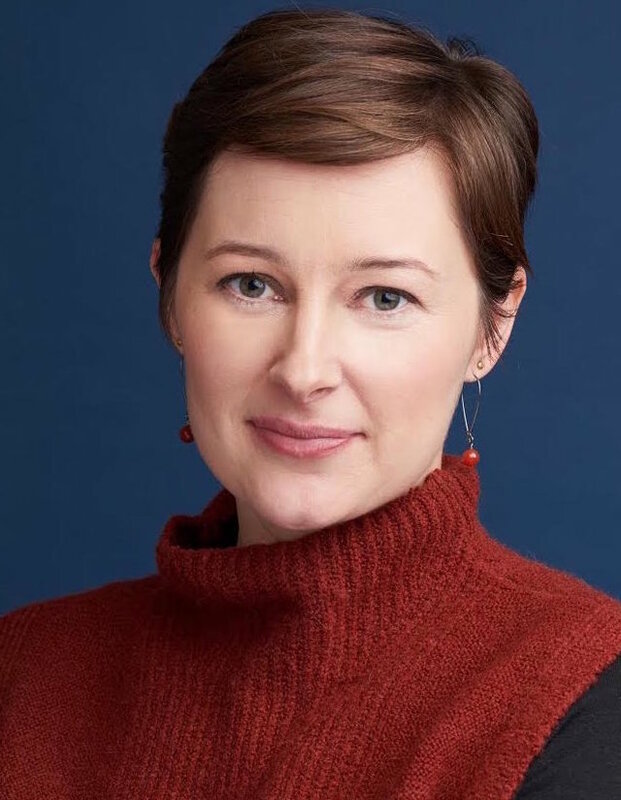 Hannah Fenlon is Associate Director of Conferences and Fieldwide Learning at Theatre Communications Group, and Communications and Alumni Manager for artEquity. She has worked as a freelance producer and casting director in Chicago (where she co-founded Two Birds Casting, a casting facilitation service for theatre) as well as with Goodman Theatre, Northlight Theatre, Indiana Repertory Theatre, the Ojai Playwrights Conference, A Red Orchid Theatre, Creative Capital, The Juilliard School, and as an Assistant Director of Admissions at the University of Chicago. She received a BA in Drama from Kenyon College and an MA in Arts Administration from Columbia University. She loves the Midwest, podcasts, and character-driven fiction.